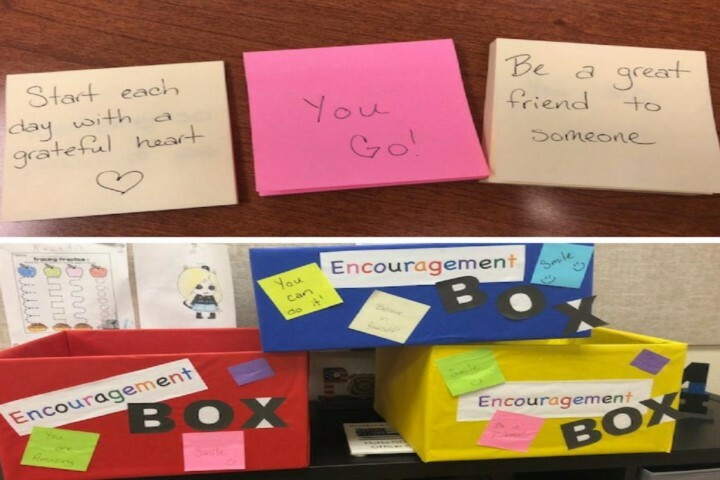 School resource officer Michelle O’Neil spent the summer crafting an “encouragement box” for every school in the Texas district, and she’s asking people in the community to contribute positive notes for students. “I thought it’s a good idea to bring them up instead of the students always bringing each other down,” O’Neil told KXAN. 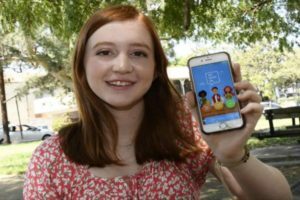 A new Project Kindness launched this year also encourages parent volunteers to spread similar messages in schools, in both English and Spanish. School board president Connie Gooding said Project Kindness installed inspiring words on bathroom mirrors and stall doors because that’s where they often retreat if they’re down. Hutto ISD Superintendent Celina Estrada Thomas told KXAN the words of encouragement are part of the district’s broader focus on improving school safety, which also includes the hire of two new crisis counselors. 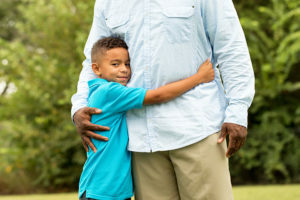 The push to instill more kindness in students and school comports with findings from the Institute of Advanced Studies in Culture’s “Culture of American Families” report, which documented parents’ explicit commitment to moral character. Harvard University’s Making Caring Common Project cited the IASC research in pointing out the “rhetoric/reality gap” that exists between what parents claim they want for their children and what kids believe is most important. The kids magazine Highlights asked students between the ages of 6 and 12 what their parents want most for them: to be kind, happy, or to do well in school. 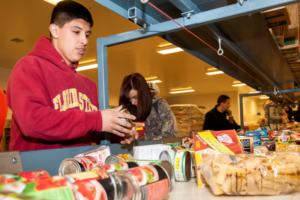 The survey, detailed in the 2017 State of the Kid Report, showed kindness ranked last. The Making Caring Common Project offers several ways parents and educators can turn the trend around, from building acts of kindness into the daily routine to ways to have meaningful conversations that promote good character.